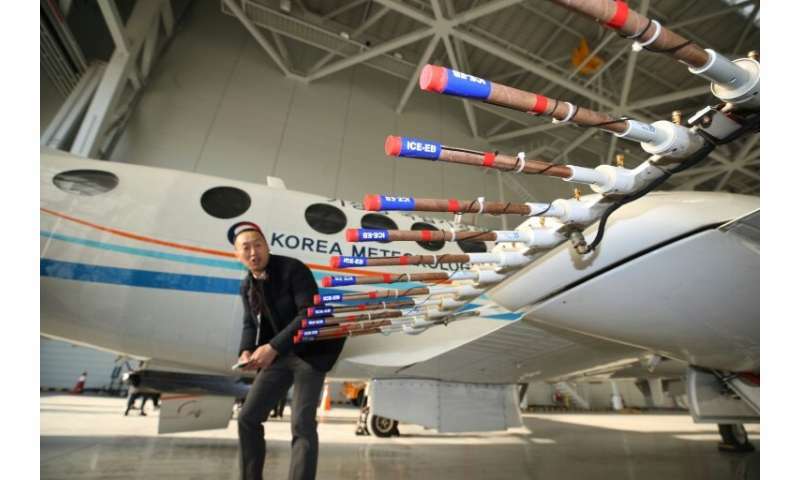 Seoul on Friday sent aircraft over the Yellow Sea to carry out cloud-seeding experiments in an effort to tackle air pollution many South Koreans blame on China. Air quality in South Korea is generally better than in its giant neighbour, the world's biggest polluter, which is periodically affected by choking bouts of filthy air and according to the International Energy Agency uses coal to generate around three quarters of its energy. Beijing has been seeking to tackle the scourge, which causes widespread public anger, and a recent study found urban levels of PM2.5—the tiny airborne particles considered most harmful to health—had been cut by almost a third on average over four years. But they remain far above World Health Organization norms, and pollution levels in Korea sometimes spike as the prevailing winds blow PM2.5 particulates—referred to as "fine dust" in the South—across the sea between the two countries. Many South Koreans accused China when pollution surged for three days earlier this month, and on Friday the Korea Meterological Administration (KMA) sent an aircraft to disperse silver iodide, a compound believed to cause rain to fall, over the waters, known as the West Sea in Korea. "The experiment is to see whether the technology works and is effective in washing away fine dust," a spokeswoman told AFP, adding it was the first of 15 such tests planned for this year. But ruling party lawmaker Shin Ching-hyun pointed out that when pollution levels rose two weeks ago, they were highest on Baengnyeongdo island, 200 kilometres west of Seoul and the closest South Korean land to China. 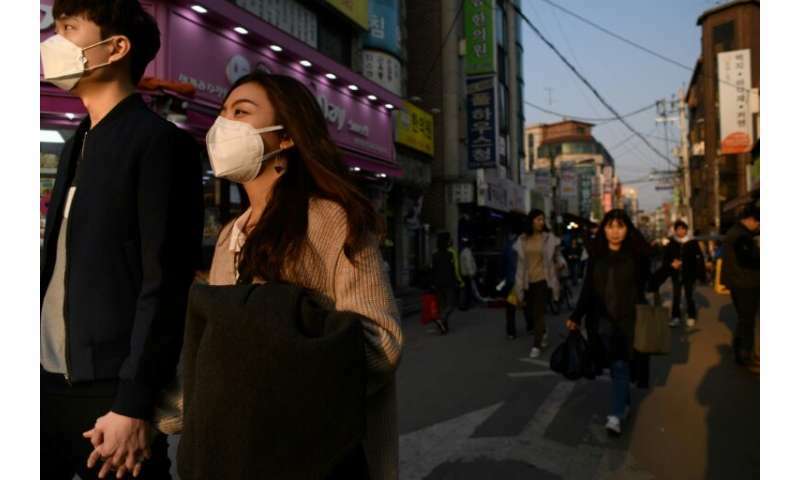 "China's claim—that it is not entirely to blame for South Korea's air pollution problem—violates the rights of South Koreans to healthy environment," he said in a statement. Earlier this month, Thailand also deployed rain-making planes to try to combat its own air pollution.